Her statements were challenged at Tuesday’s Ask The Leaders event, where Bennett appeared to backtrack after critics claimed she was giving extremists a free reign to join terror organizations. She said membership of “hideous” groups like Al-Qaeda and the Islamic State (IS, formerly ISIS) were tantamount to inciting violence and should therefore be considered a criminal offence. Bennett further told Andrew Neil on BBC’s Sunday Politics last month that she wanted to make sure freedom of thought was not destroyed by counter-terror measures. “What we want to do is make sure we are not punishing people for what they think or what they believe,” said Bennett. “Obviously actions of inciting violence, supporting violence, those are absolutely unacceptable, illegal and should be pursued to the full extent of the law. “What we are talking about is a principle that you shouldn't be punished for what you think. And we need to balance, we do not protect freedom by destroying it,” she added. “Obviously IS and Al-Qaeda are hideous terrorist organizations that advocate and support violence,” she said. “If you are involved in them, support them in any way, then you are participating in inciting violence. The Greens have enjoyed a surge in membership in recent months, with some opinion polls suggesting they have overtaken the governing coalition’s Liberal Democrats. Critics, however, say the party’s policies are in chaos and suggest it is unclear which policies they would commit to in reality. 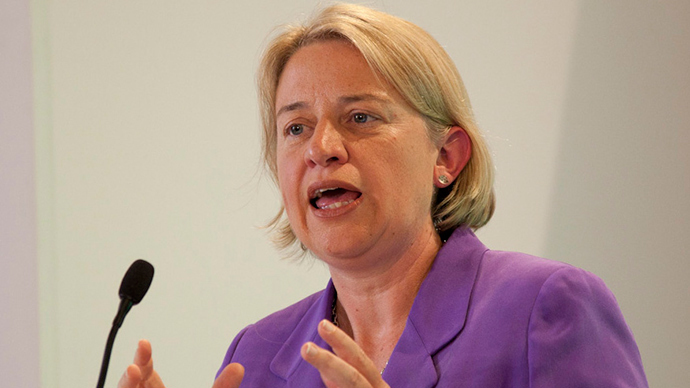 The Greens recently scrapped the much maligned ‘citizen’s income’ from their election manifesto. Speaking to Radio 4, former party leader and Green MP Caroline Lucas said they wanted to put forward revolutionary and radical ideas, but were not expecting to win the election. “Up to six months ago, we were a small party with a shoestring staff. We are not going into this election saying we are going to win and become the next government. “What we are going to do is to put forward some radical and visionary ideas which this political system needs so badly. What we are also going to do, with a handful of MPs, is to push Labour in particular to be far more progressive,” she said.